Geothermal heat pumps have been around since the 1980’s and are considered a mature technology. They work well and provide home owners great savings. Both geothermal and air source heat pumps work using virtually the same technology, however low energy costs in North America has resulted in low adoption of Heat pump technology which was more commonly implemented in Europe and Asia. 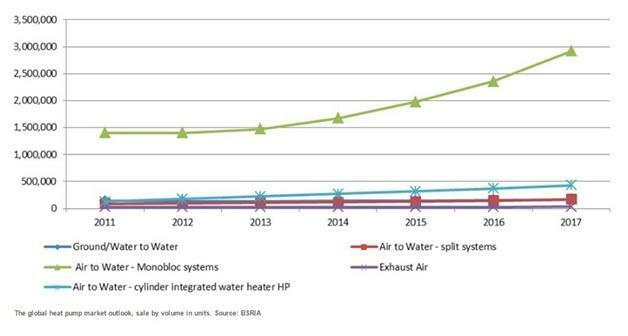 With the steady energy costs rising across the board in North America, the industry has seen a major increase in investment in air source heat pumps, resulting in a significant growth in North American market. With economic feasibility at the highest it has ever been, air source heat pumps are projected to be the next big addition to renewable energy technology in North America. Canadian and US governments consider both GSHP and ASHP to be an important part in climate control. The introduction of Variable speed compressors and EVI injection compressors have driven the operating temperatures down to -30 C (-22 F) for cold climate heat pumps. This was never an obstacle for a ground source heat pump as being below the frost line allowed them to be able to handle -30 to -40 temperatures. Variable speed compressors are available on some geothermal units but are becoming the standard for cold climate heat pumps. Installation costs are one of the biggest factors in the economic feasibility of renewable energy. An average geothermal installation cost has dropped in recent years, but still is around $20,000 for most homes. The same sized system using a cold climate heat pump can be installed for under $10,000. This price continues to drop with ASHP as technology advances. Ultimately, geothermal owners will always be stuck with higher installation costs due to the expensive practice of running ground loops, regardless of whether they use horizontally or vertically loops. The monobasic system design used in an air to water heat pump is a lot more cost effective, and can been done by a DIY home owner without the need for any licensed refrigeration mechanic. 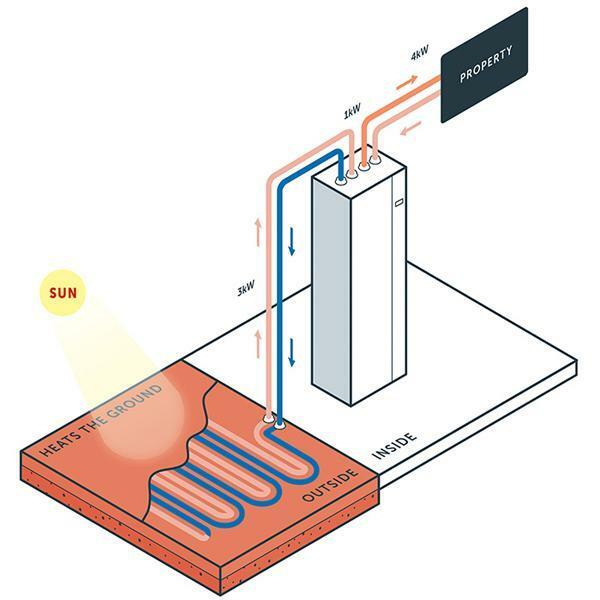 In most cases the COP of a geothermal heat pump will be better than an air source heat pump, but not by much. The increase in COP of air source heat pumps have narrowed this race. An average AHRI geothermal unit has a COP of around 3.5 (closed loop), where the equivalent air source heat pump would have a COP of around 3. The further south you are, the closer these two technologies become in terms of their performance. In mild heat zones such as the mid US, air source heat pumps being to show stronger COP than Geothermal Heat Pumps, making them the popular choice. While there is very little to compare as the Cold Climate Heat Pumps are relatively new, it can be said that a geothermal unit should outlast a air source heat pump as a ground source heat pump has a better operating environment. Geothermal units are installed inside; thus they are protected from the elements. 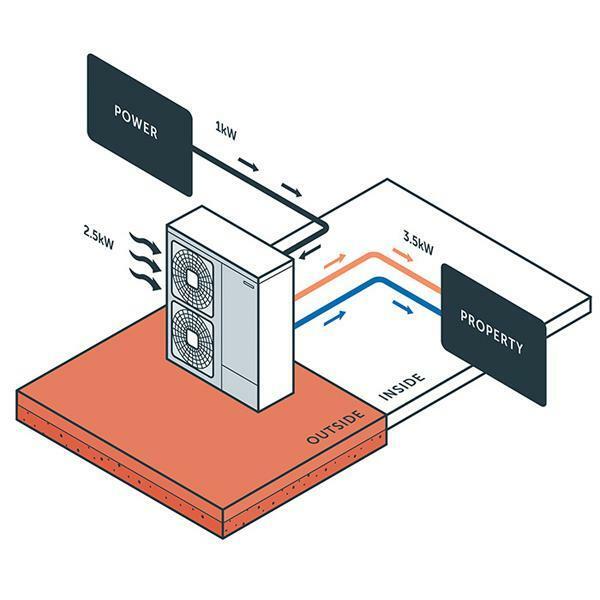 However, an air source heat pump is built for the outside environment, using sealed connections and designed to operate in cold climates more extreme then a geothermal unit. In reality, being such a new technology, it will take the test of time to determine the extent that these two heat pumps differ in regards to longevity. Both ground and air source heat pumps are great technologies that are guaranteed to save the owner in heating and cooling costs. If you have an easy method of geothermal installation, such as a well to well or a lake loop that has minimal added installation cost, this might be the better route for you. If you are looking to install a geothermal system, you need to look at all the costs and compare them to the savings. In the end, the marginal energy savings of a ground source heat pump may never justify the added installation costs. All we can suggest is that you do your research and talk with different installers as each installation will have different variables. We have been installing geothermal systems for years, so feel free to call us anytime as we would love to help make your decision.